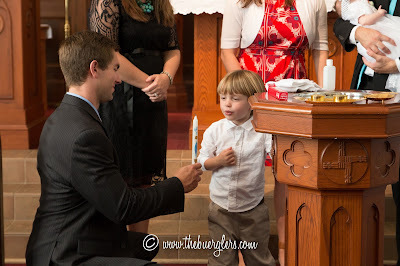 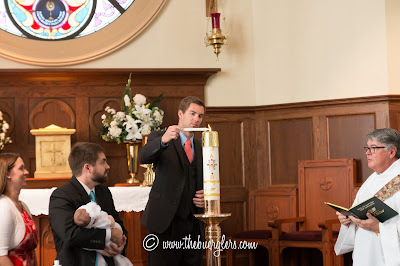 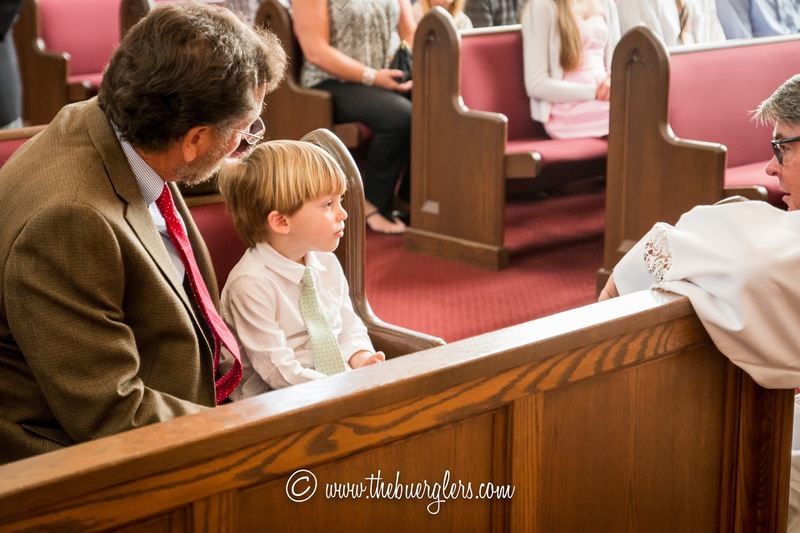 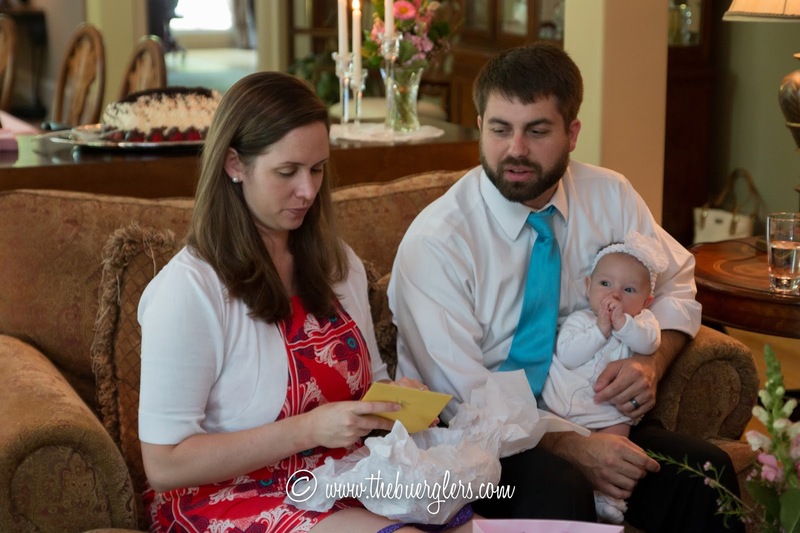 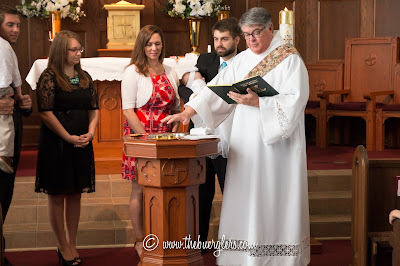 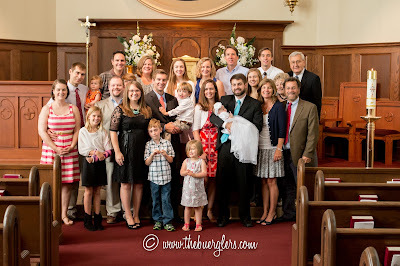 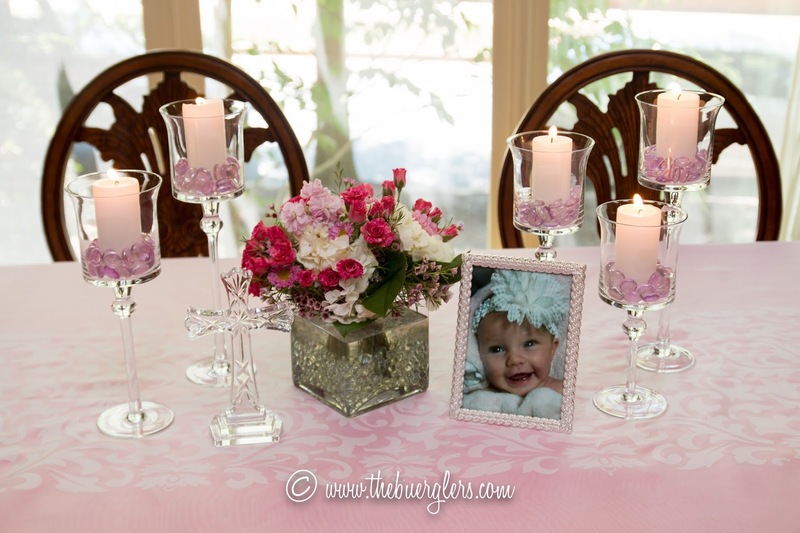 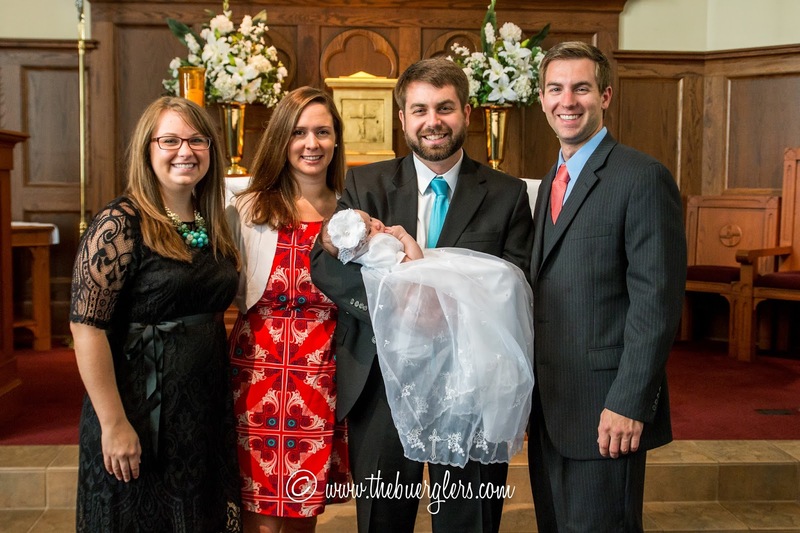 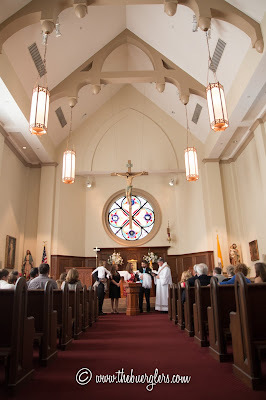 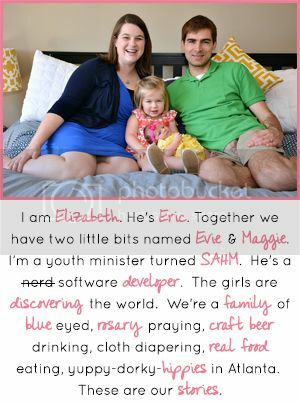 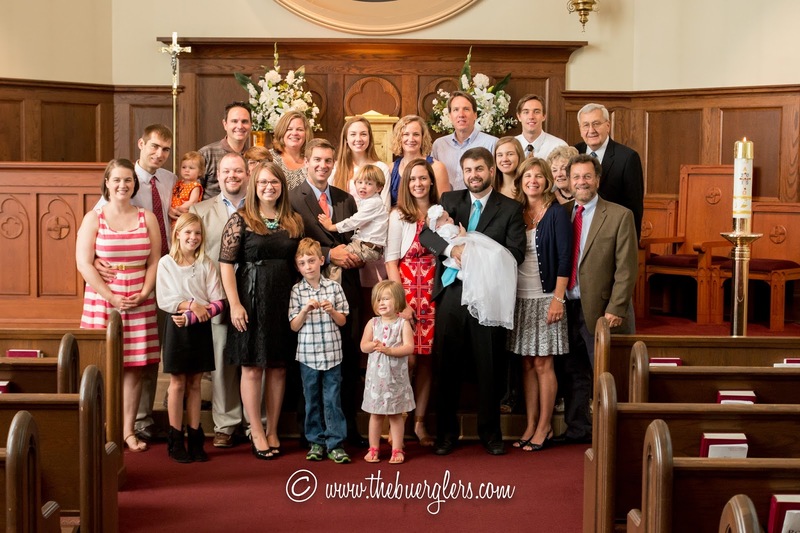 The Buerglers: Welcome to the Church, Ellie! 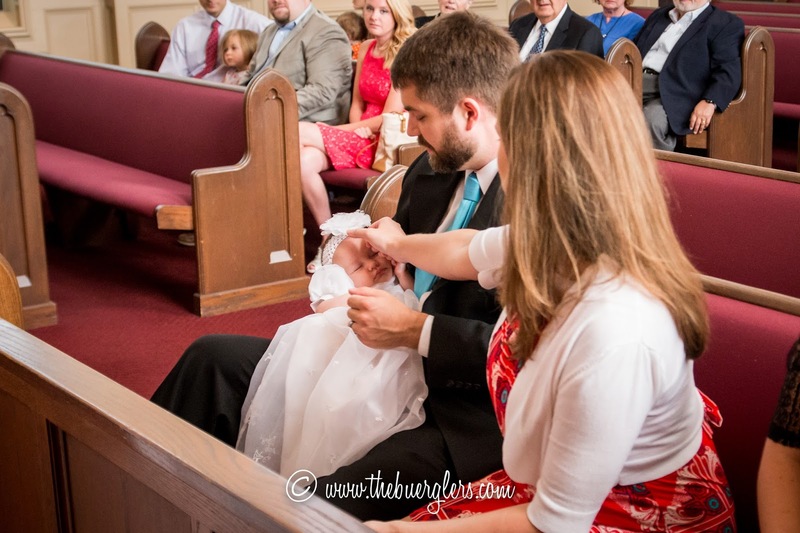 We are so excited to welcome Ellie to the Church, to receive the indelible mark on her soul claiming her for Christ. 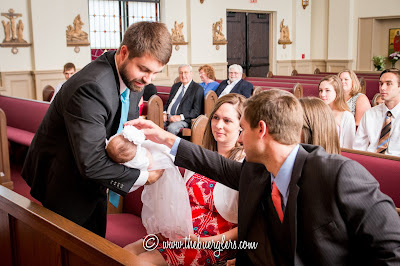 My niece was Baptized at the beginning of the summer by our friend Deacon Dennis. 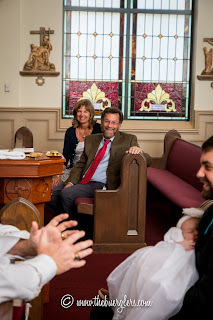 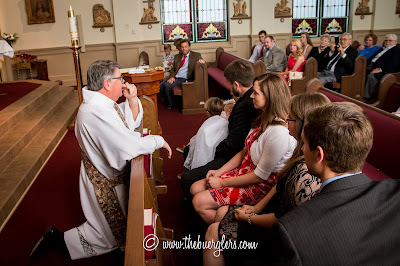 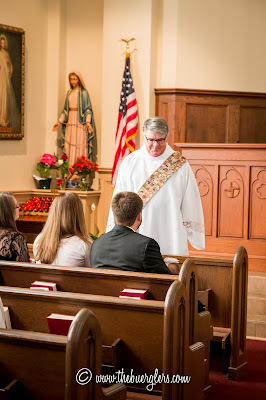 Deacon Dennis has celebrated almost all our siblings weddings, and almost all our nieces and nephews baptisms. 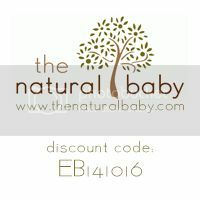 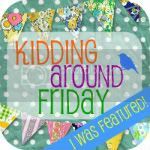 We're a big fan! One of the reasons we love him is that he gets down on the kids level and talks to the siblings. 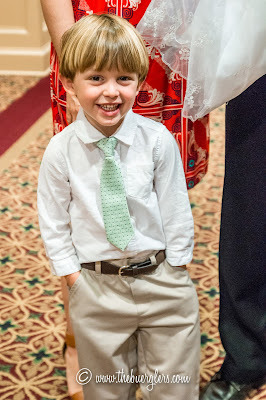 He also personally talks to the parents and Godparents about their responsibilities. 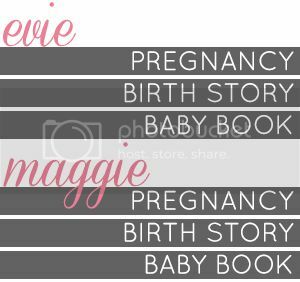 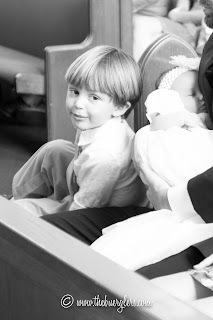 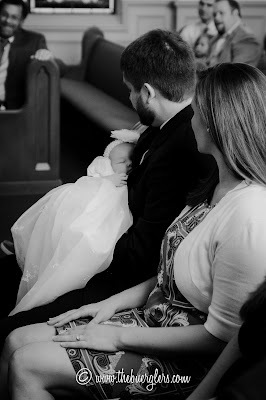 David and Paige chose my sister Katie to be the Godmother and my brother Alex to be the Godfather. 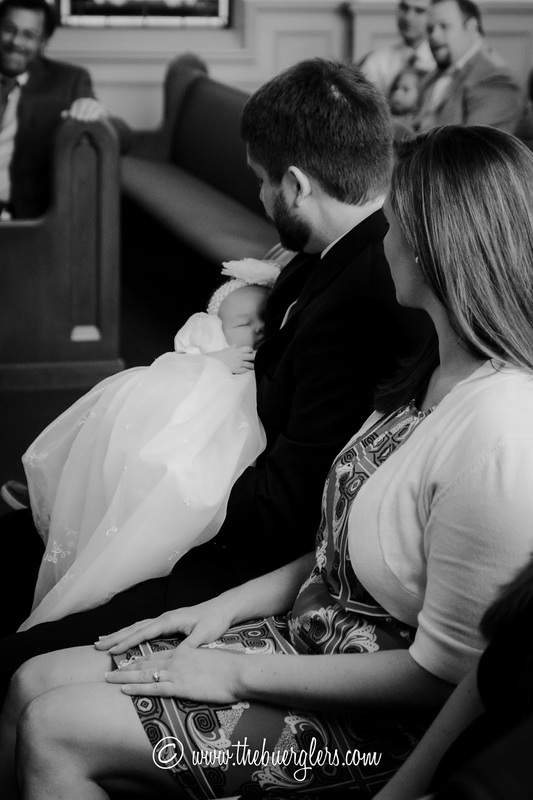 I absolutely adore photographing Baptisms so the photos and photobook made the perfect Baptism gift for Ellie. 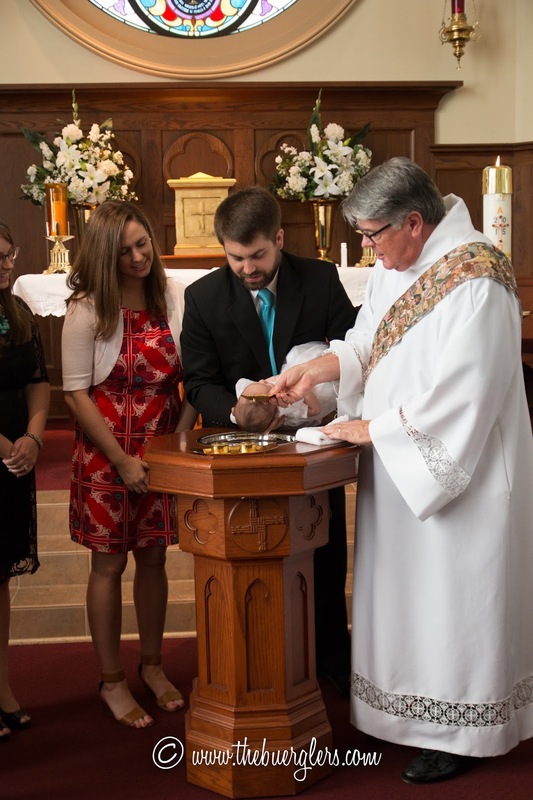 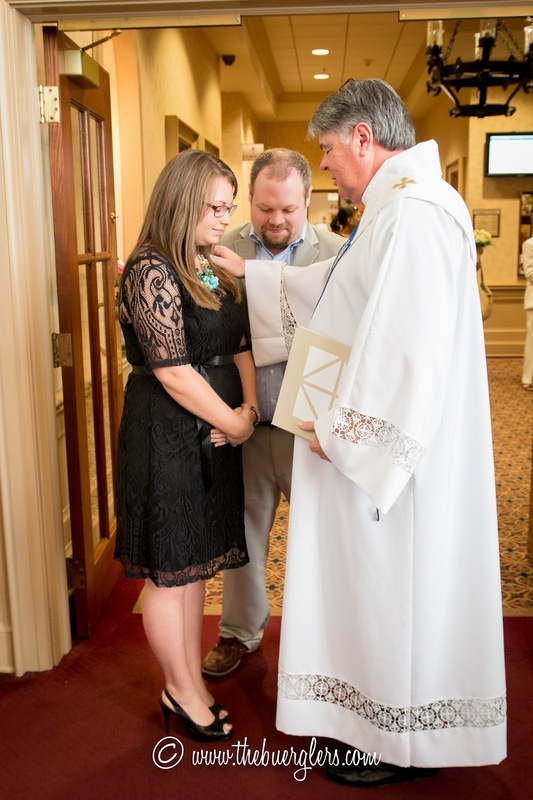 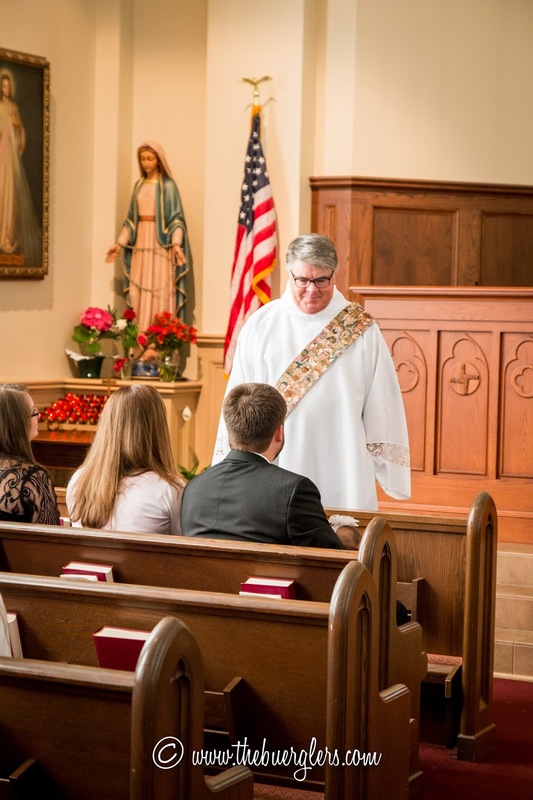 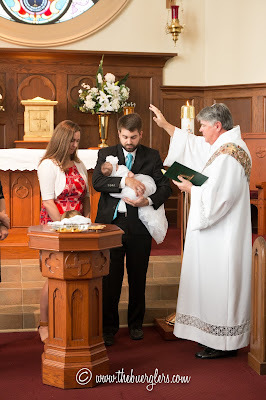 Katie and Sam knew they were pregnant but hadn't announced it to the family yet, so they privately asked Deacon Dennis for a blessing on the life growing within her. 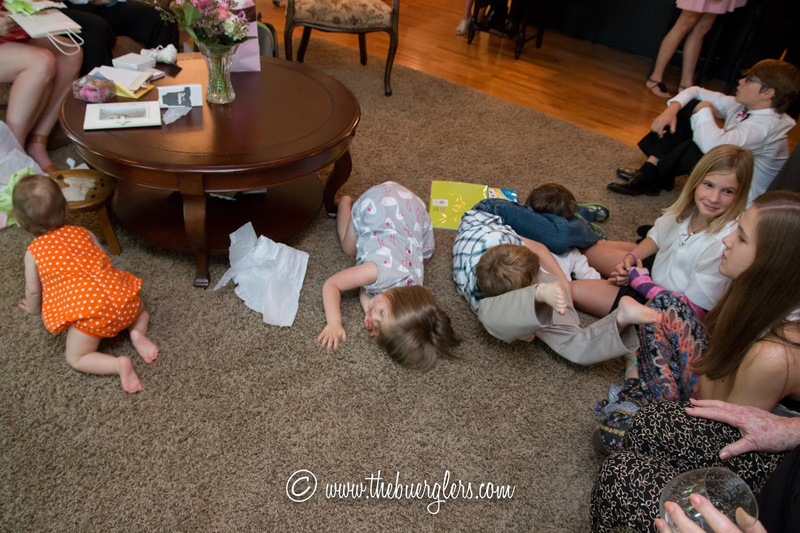 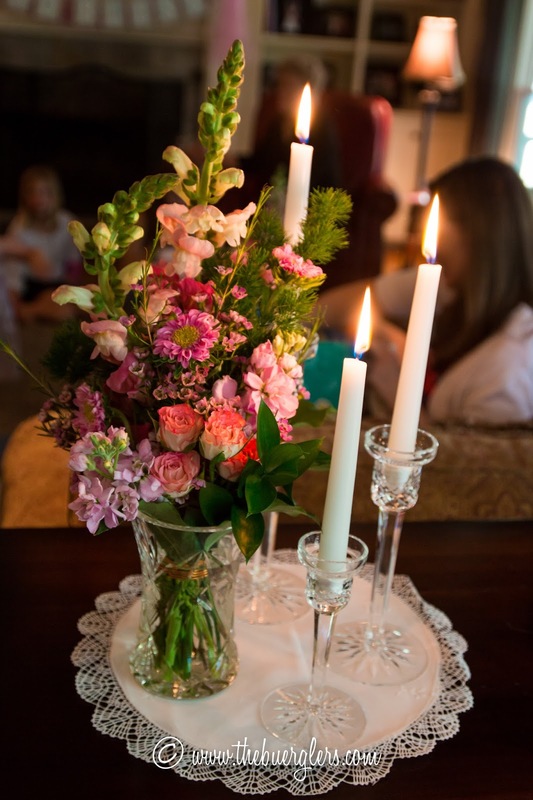 My parents hosted another beautiful party back at their house. You know it's been a good day when cousin Wrestle Mania breaks out. We're so blessed to share in the special day! 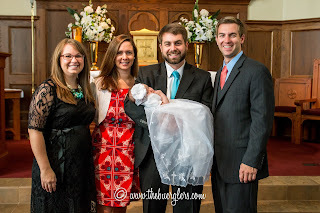 Congratulations, David, Paige, Zachary, and Ellie!